The satellites that the U.S. Department of Defense relies on for communications often each have their own ground control systems that are designed to work with specific families spacecraft. But as space becomes more a more contested, with enemies looking to undermine the United States’ information advantage, that set up can lead to problems on the battlefield. Under a program sponsored by the Air Force’s Space and Missile Systems Center, subsidiary Kratos RT Logic recently demonstrated a potential fix. The company unveiled a solution that would allow users to roam among multiple satellites and systems in much the same way the cellphones roam when they are deprived of a signal. The prototype, known as Enterprise Management and Control (M&C), aims to make defense communications more robust by offering diverse pathways and enhanced bandwidth efficiency. The Air Force program is part of an effort to make military satellite communications more flexible. For example, Hughes Defense and Intelligence Systems also demonstrated a concept to the Air Force that focused on creating a global, open architecture system that connects to communications satellites in geosynchronous orbit, medium earth orbit and low earth orbit. 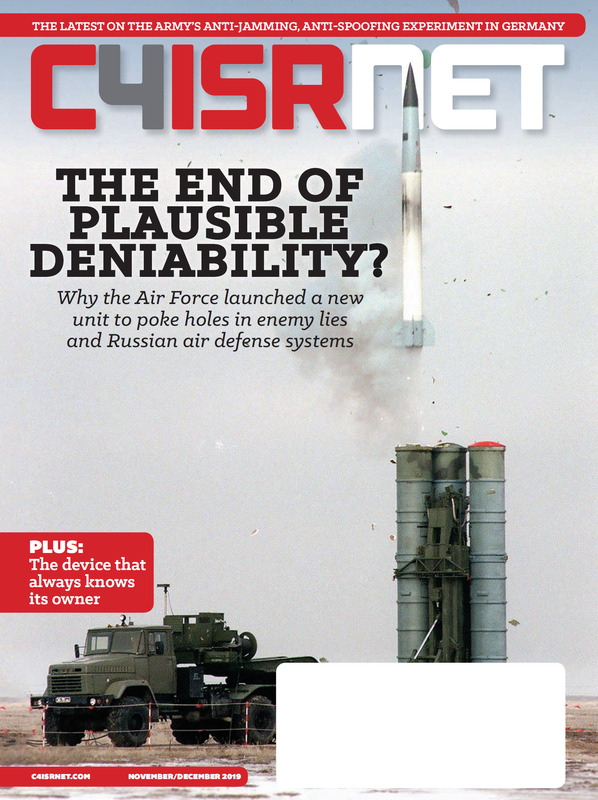 The need for roaming satellite communication connectivity comes from an evolving military landscape. When that happens, it is possible to reconfigure the network, to switch to another satellite, but it can literally take weeks or even months to make the change. 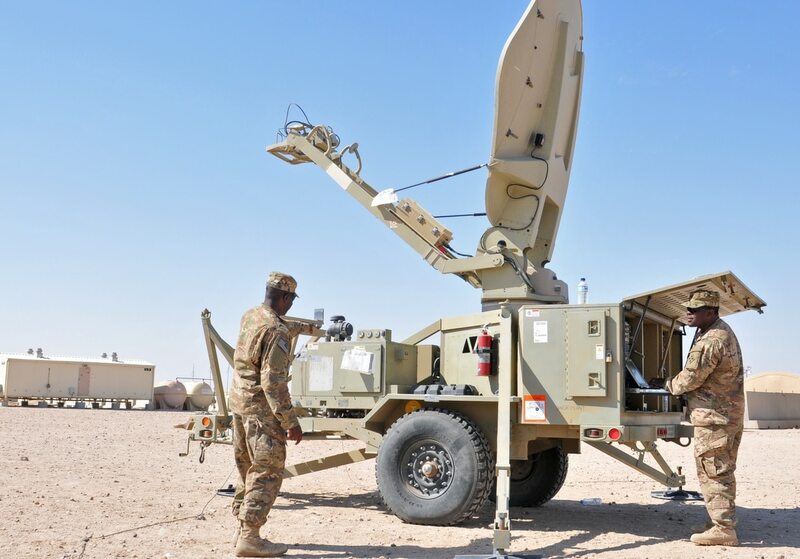 The new initiative seeks to allow soldiers to recover comms on the fly, without having to swap out equipment or reconfigure their connections. Government has long recognized the need for such a capability. “Satellites, ground control systems, and user terminals in most of the Defense Department’s major space system acquisitions are not optimally aligned, leading to underutilized satellites and limited capability provided to the war fighter,” the GAO noted in a 2009 report. The issue has been a long-running theme for the Congressional watchdog since then. “When capabilities are delayed because of lack of alignment between satellite and ground control systems or user terminals, the war fighter may develop short-term solutions, often at diminished capability and added cost,” GAO reported. • Enabling terminal reconfiguration to support diverse SATCOM architectures, including Time Division Multiple Access (TDMA) and Frequency Division Multiple Access (FDMA) networks. The emerging system aims to do more than just restore comms when the link fizzles out. A diagnostic capability helps the system to understand why the network has gone down, which in turn enables the roaming function to take the next needed step. Looking ahead, Kratos executives say they hope to see a 2019 contract award for additional testing to prove operational capability. As part of that effort, engineers will push for less human intervention in the roaming capability. “With thousands of terminals out in the field, the goal is to have it make the move on its own. The next phase of proving out this system would be to show that capacity for an automated change. That’s what make it true roaming. You don’t tell it when to switch networks. It just does it on its own,” Backes said.